He began throwing out scenarios in which I could disparage my ex in court so that I could get more custody, thus more money. In the process, the attorney was going to make gobs of money off of me and the fight he was about to stage between me and my ex. I wasn't having it. My ex and I were getting a divorce, sure, but he's a great, dedicated dad, and I wasn't about this. On a panel of divorce attorneys that included litigators, mediators and collaborative attorneys, a collaborative attorney I work with asked a litigator, "How do you know when to stop litigating?" His answer: "When the money runs out." In other words, litigators will find reasons to fight until there is no more money to fight over—or be paid with. At which point they'll likely come to an agreement that could have been accepted months prior. I walked out of that attorney's office with a basic understanding of what I was legally entitled to, and a horrible taste in my mouth about where this man wanted to take my divorce. Not once did he ask what I wanted for my child. Not once did he ask what kind of relationship I wanted to create with my ex, a man I'd be tethered to, like it or not, for the rest of my life. A few months later, my ex and I met with our new mediator, who practices Collaborative Divorce. According to the Los Angeles Collaborative Family Law Association website, "Collaborative Practice is a voluntary out-of-court process for you and your spouse to resolve the legal, financial and emotional issues of your divorce or separation." And the first question our collaborative attorney asked us was, "Do you want to put your child in the middle of your divorce, or at the center of it?" I believe that everything is a choice. You can choose to make your divorce bitter and ugly, or you can choose to have it be collaborative and peaceful. That doesn't mean you will always agree on things; you won't. But it means that you have chosen a perspective that is healthy and productive, rather than one that is proven to be destructive. And, in my opinion, when you have children, you don't really have a choice. Sign up below and receive my free ebook, "Getting Divorced? 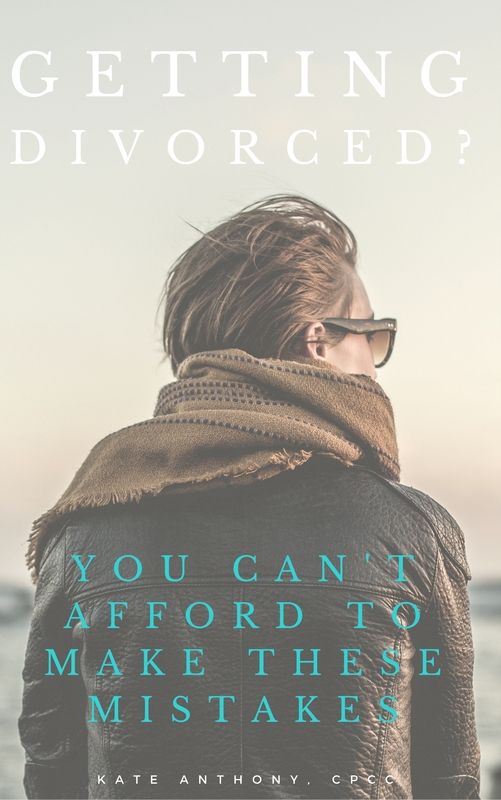 You Can't Afford to Make These Mistakes," as well as a short email series on how to have the best, most collaborative divorce possible, even if your ex isn't totally on board.